Kim Kardashian shared a new family post to promote the new season, and Twitter noticed a photoshop fail. The Kar-Jenner family is once again being online slammed for a photoshop fail in an accusation that their photographer vastly failed to edit their new family group picture. 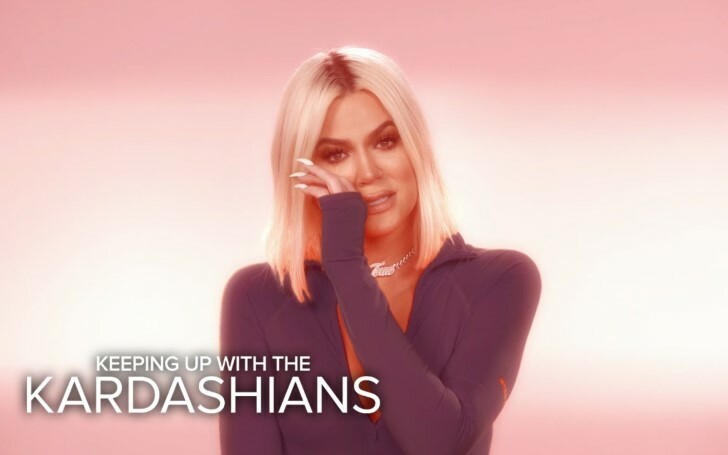 On Sunday, Kim Kardashian shared an image on social media to promote the upcoming season of 'Keeping Up with the Kardashians.' The worldwide famous American reality show is celebrating it's sweet sixteen birthday in the form of the show's sixteenth season. Taking to Twitter to post the image where all the family members including momager Kris Jenner, eldest sister Kourtney Kardashian, Khloe Kardashian, the highest paid model Kendall Jenner, and the self-made youngest billionaire Kylie Jenner looks all glammed up, Kim shared the special news, writing: "Our Sweet 16! Can’t believe Keeping Up With the Kardashians is premiering our 16th season tonight! Be sure to tune into E!" Whilst the whole five sisters look super fly in their matching white and brown satin outfits, some of the fans couldn't sit back and point out how something was odd with the picture. As for the picture dropped off by the 38 years old reality star, fans immediately replied to Kim with hundreds of similar asking question like what and where is Khloe's half lower body on the picture. To fans, it appears that Khloe's half body missing in the picture is something that highly comes in the suspect of photoshop, a fail one indeed. Likewise, another fan wants to know how does Kourtney who can be seen leaning closer to her mother has six toes on her foot instead of five. Similarly, as for Kendall, many of the fans think her model figure was actually photoshopped into the picture. However, though for Khloe if you ask us, she is seen seated on the sofa looks as if she used the satin sheets as a blanket to cover her body, which makes us assume is what hid her half body. But then again hundreds of fans think the other way. Of course, if one intends to share an edited or photoshopped picture on the internet, he/she is required to be super careful about it, especially when almost everyone has a Ph.D. when it comes to the skill of noticing photoshop fails. Anyway, let's see what did the other fans had to say on the image below. Meanwhile, on the other side of the whole scenario, neither Kim nor the rest of the family seems to be concerned with answering the fans thoughts.